Since joining Hovde in 1993, Mr. Barbarine has been responsible for providing M&A and general strategic planning advice to community banks. Over the last two decades, Mr. Barbarine has been one of the most active investment bankers in the industry and often ranks in the top five on the nationwide league tables in terms of number of M&A deals consummated. 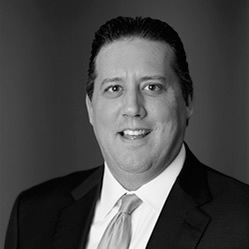 He has worked on over 100 bank M&A deals and SNL Financial LC named Mr. Barbarine the most active M&A advisor in the United States in both 2016 and 2015 in their Ranking the Rainmakers articles in January 2016 and February 2015. Bank Director Magazine also recognized Mr. Barbarine as one of the top deal makers of the 21st century in their Guns for Hire article in the 3rd Quarter of 2002. Mr. Barbarine advises banks on strategic options, including structuring and negotiating mergers, acquisitions, sales, branch acquisitions & divestitures, and capital raises. He provides management and Boards with knowledge of the financial services industry, including an in-depth understanding of the acquisition strategies of regional and super-regional banks. In addition, he has negotiated acquisitions of failed banks with the FDIC and the RTC. He has also served as a director of a community bank in California and a member of the firm’s Fairness Opinion Committee. Prior to joining Hovde, Mr. Barbarine was a member of the Financial Institutions Group of Morgan Stanley in New York. He earned his B.A. in Economics and played some baseball at the University of Maryland. He holds the following FINRA licenses: Series 7, 24, 63, 79, & 99.